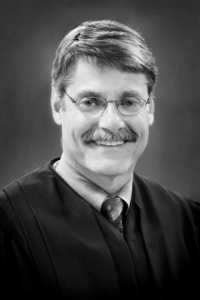 On Thursday, March 21, Dane County Circuit Court Judge Richard Niess issued an injunction against the legislation passed by the legislature and signed by Governor Scott Walker in December 2018. In doing so, Niess prevented the laws from being enforced. Niess did not rule the laws themselves are unconstitutional. When the legislature convened in December, legislative leaders called an “Extraordinary Session”. Niess ruled the legislature did not have statutory authority to convene an “Extraordinary Session”. As such, any legislation passed during the session is void, according to the ruling. “By meeting in the December ‘Extraordinary Session’ without statutory authority, the Legislature has thwarted the peoples’ constitutional constraints on legislative action, the results of which cannot stand,” Niess said in the written opinion. One of the provisions passed during the extraordinary session limited the Attorney General’s ability to withdraw Wisconsin from federal law suits. Reports in the media at the time stated this primarily to prevent incoming Democratic Attorney General Josh Kaul from removing Wisconsin from a law suit against the Affordable Care Act. Hours after Niess’ ruling, Kaul, under direction from Governor Tony Evers, filed a motion to remove Wisconsin from that suit against Affordable Care Act. Republican legislative leaders expressed their disappointment with the opinion. “Today’s ruling only creates chaos and will surely raise questions about items passed during previous extraordinary sessions, including stronger laws against child sexual predators and drunk drivers,” said Senate Majority Leader Scott Fitzgerald and Assembly Speaker Robin Vos in a joint statement. It is worth noting, Niess’ ruling did not place injunctions against other legislation passed during extraordinary sessions; only the ones passed in December 2018. The Republican legislature is expected to quickly appeal the ruling.